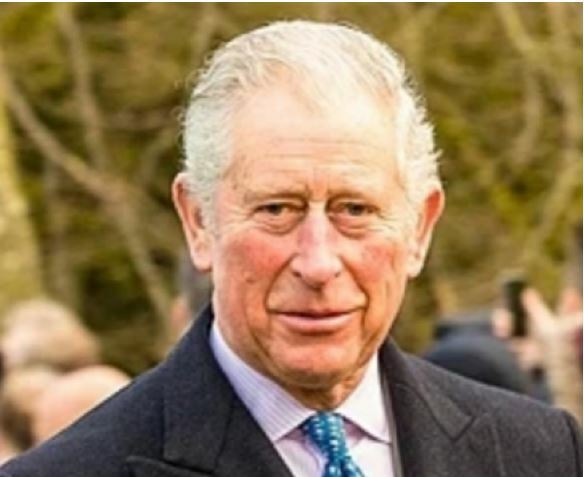 Prince Charles of the British Royal family has announced he will visit Rwanda next year, in a letter sent to President Paul Kagame as part of joining Rwandans in commemoration of the 25th anniversary of the genocide againt the Tutsi. On April 7, Rwandans started commemoration events – reflecting on the journey the country has gone after 100-day genocide that claimed over 1 million lives. The Prince of Wales announced the visit on his Instagram account and included a picture of the letter sent to President Paul Kagame. 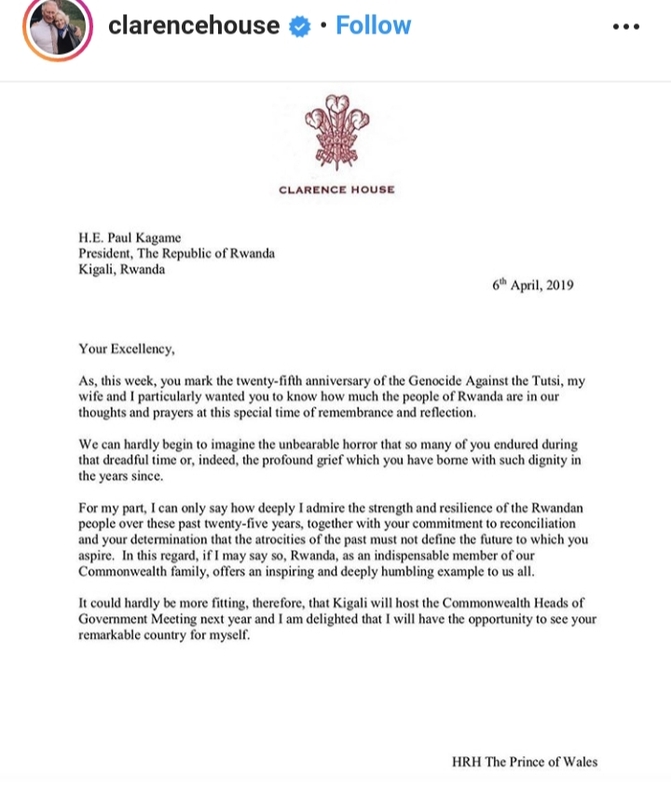 The caption said: “The Prince of Wales has sent a letter to the President of The Republic of Rwanda, @paulkagame, to mark the 25th Anniversary of the 1994 Genocide against the Tutsi. In the letter, Prince Charles expresses his admiration for the strength and resilience of Rwandans 25 years after the Genocide. Charles, Prince of Wales is the heir apparent to the British throne as the eldest child of Queen Elizabeth II. He has been Duke of Cornwall and Duke of Rothesay since 1952, and is the oldest and longest-serving heir apparent in British history. In April last year, President Kagame met and held talks with Prince Henry of Wales popularly known as Prince Harry at Buckingham Palace in United Kingdom. Kagame was in the UK to attend the Commonwealth Heads of Government Meeting (CHOGM) where leaders gathered in London and Windsor to address the shared global challenges faced and agree on actions on how to create a better future for all. Rwanda was elected to host the next CHOGM next year.